The Waterfront House Country Home sits nestled right on the shores of the world-famous fishing grounds - Lough Corrib, surrounded by the Hills of Connemara, just a short stroll from Aughnanure Castle and the lovely Oughterard 18 hole Parkland golf course. Centrally located to an area from the Cliffs of Moher to the Aran Islands, and Connemara to Westport. In an area of astounding beauty you can enjoy walking, golfing, angling, relaxing, touring, sight-seeing, swimming, horse riding. 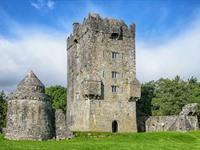 Built by the O'Flahertys c. 1500, Aughnanure Castle lies in picturesque surroundings close to the shores of Lough Corrib, standing on what is virtually a rocky island, the castle is a particularly well-preserved example of an Irish tower house. 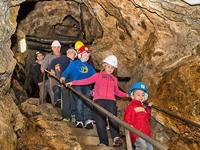 Glengowla Mines offers a fun day out for all the family! If your children are fond of the best selling game of all time, MineCraft, then this is Reality. Buried beneath the Connemara Mountain lies a way of life long abandoned and almost forgotten just waiting for you to explore! 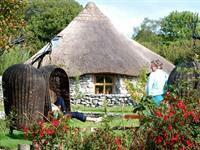 The award-winning Brigit's Garden takes you on a magical journey into the heart of Celtic heritage and mythology, making it one of the truly outstanding places to visit in the West of Ireland. 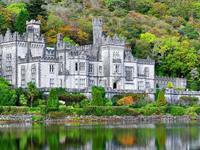 At Kylemore Abbey and Victorian Walled Garden, there is so much for all the family to enjoy. Visit the restored rooms of the Abbey and learn about its history and tales of tragedy and romance. Explore the 6 acre Victorian Walled Garden with its magnificent restored buildings. Discover woodland walks, lakeshore walks, nature trails and childrens play trail throughout the 1,000 acre estate. Children will enjoy making a wish at the Giants Ironing stone. 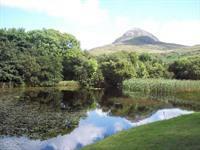 Connemara National Park covers some 2,957 hectares of scenic mountains, expanses of bogs, heaths, grasslands and woodlands. Some of the Park's mountains, namely Benbaun, Bencullagh, Benbrack and Muckanaght, are part of the famous Twelve Bens or Beanna Beola range. 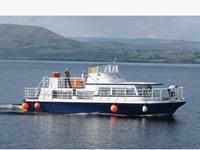 The "Corrib Queen" departs Oughterard pier daily(except Tuesdays) at 12:00pm, and sails onto Inchagoill Island. En route passengers experience excellent views of the Connemara mountains, Lough Corrib's 365 islands and passes close to Inisheanbo, one of the most beautiful islands on the lake. 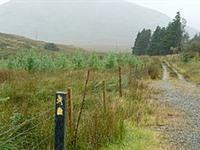 This 66 km linear walking route provides an excellent introduction for walkers to the beautiful and scenic wildernesses of Connemara in County Galway in the west of Ireland. 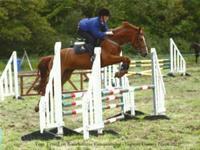 Knockillaree Riding Centre is based in Oughterard, Connemara - only 25 minutes from Galway City at the "Gateway to Connemara". Our Centre is located on the Rusheeney road, just outside Oughterard village, and is nestled between beautiful hills, mountains and the shores of Lough Corrib. 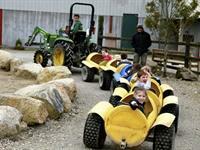 At Loughwell Farm Park - whatever the weather – you'll find plenty to see and do with activities for all ages. We are one of the most popular attractions in the West of Ireland with acres of indoor and outdoor fun for all the family. Joyce Country Sheepdogs is part of a family run farm located in Connemara on the West of Ireland. 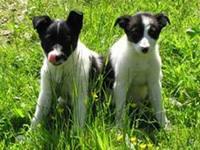 Joyce Country Sheepdogs offers you the opportunity to visit a working hill sheep farm and watch the Border Collie sheepdogs herding Connemara Blackface sheep.